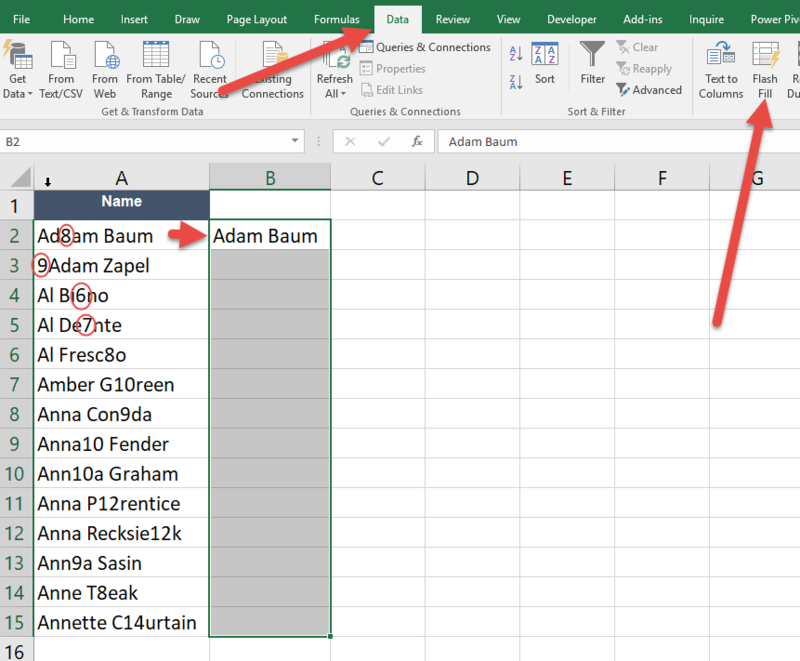 A very common problem is how to remove numbers from text cells in Excel. For some reason various systems mix up text and numbers purposefully e.g. Dixon (35208) or accidentally e.g. Ad8am Baum. 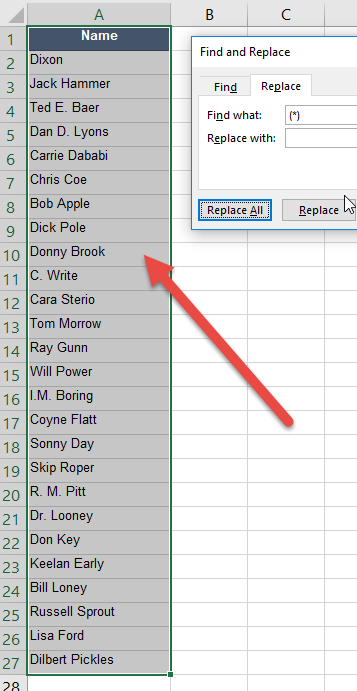 Either way it should be, and is easy, to fix this in Excel. One way is to use the FIND/ REPLACE tool with wildcards. 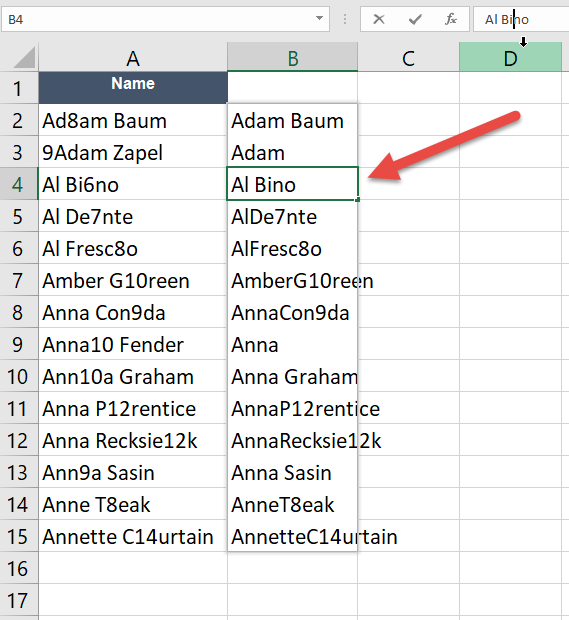 Wildcards are a way of telling Excel to find something e.g. ‘(‘ and ‘)’ but not to look at what is in between because this changes each time. whereas (?) would only find (1). 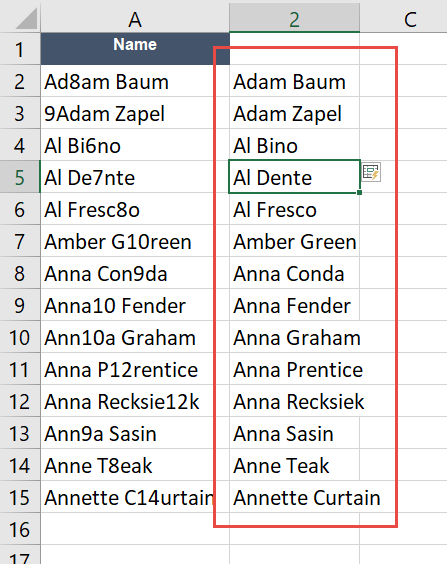 Below we want to remove the numbers in the brackets so that we are left with the name only. 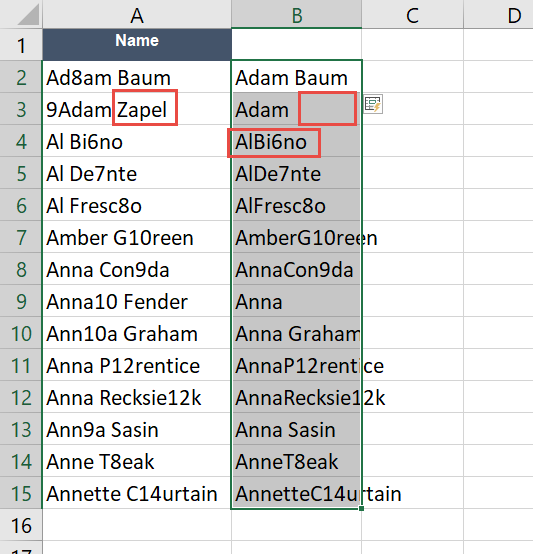 We need to tell Excel to remove the brackets and anything between the brackets (doesn’t matter how many characters). 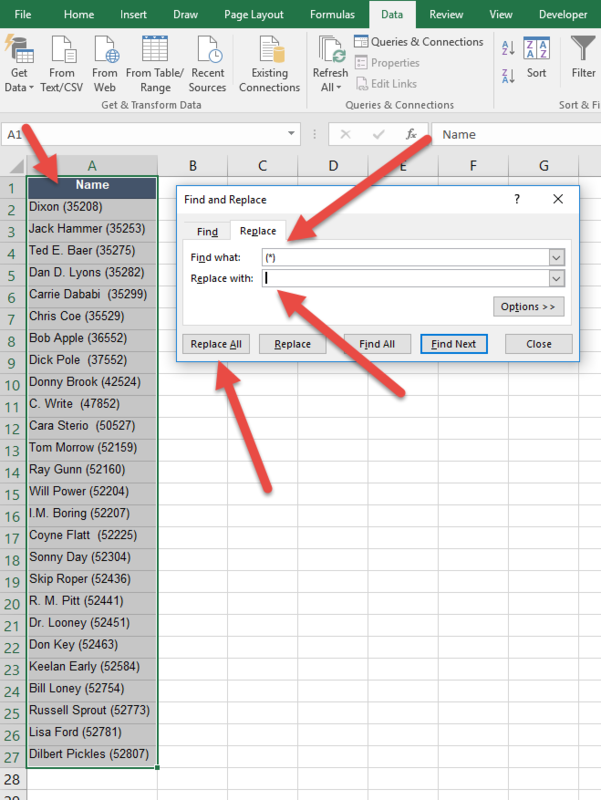 In the Find What box type (*)- this tells Excel if must look for a ‘(‘, then other characters (as many as there are), and then a ‘)’. The end result will be that all the brackets with numbers in will be removed as show below. You may have noticed above that there looked like there was a space between the name and the brackets. If we also wanted to remove this space you would add the space in front of the ‘Find What’ option. The above is great where there is some form of pattern. In the case above the numbers were nicely packaged at the end between the brackets. What if the numbers are just randomly spread within the text? In this case you will see that it gets the first one right and then the rest are not great. This is because we only gave it one example. 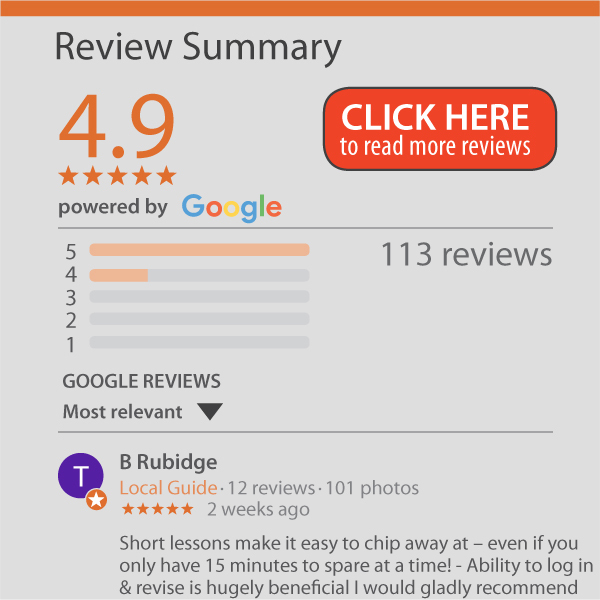 Now you will see that all the numbers have been removed from the text. Flash Fill would also work on the first example we gave with the numbers at the end.